Thank you to everyone that linked up to CookBlogShare last week. It was good to be back and I have enjoyed making the difficult decision of what recipes to feature in this week round up. This week I really could not select a theme for the round up. I loved the wide variety of recipes shared and it was great to be back doing what I love! 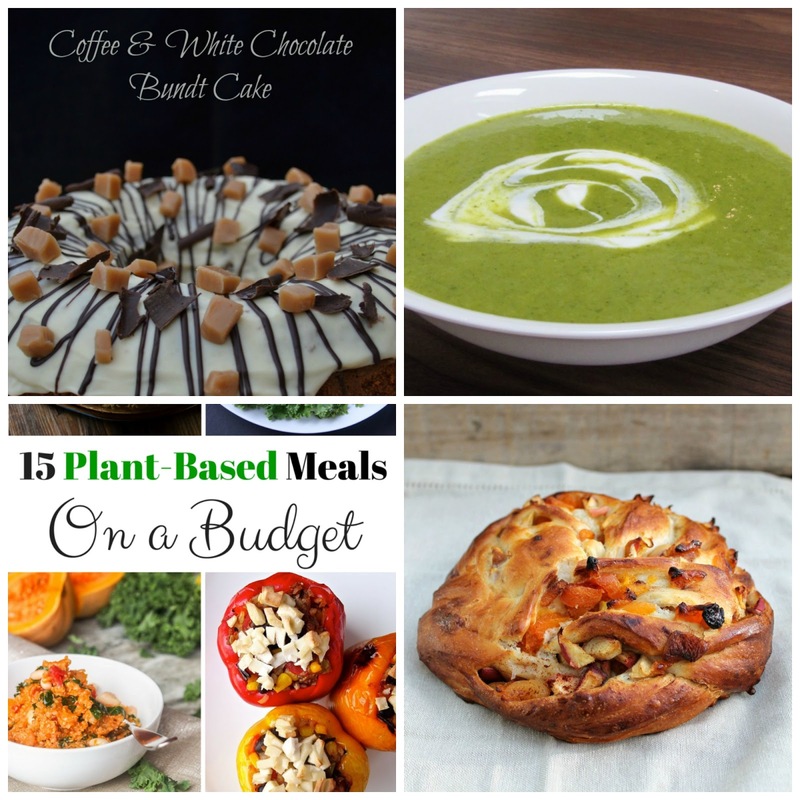 This weeks round up is a mixture of baked goodies and deliciously healthy meals. The perfect balance! First up is the deliciously tempting Coffee and White Chocolate Bundt Cake from Casa Costello. I adored everything about this scrummy cake. Especially the luring topping of white chocolate, fudge pieces and dark chocolate. The diet would definitely go on hold for a piece of this cake! Next I chose the healthy Potato and Kale Soup from Searching for Spice. After the indulgence of the cake, I yearned for a healthy recipe and soup is a favourite! So when I saw that this soup included kale which is full of goodness I knew it would be a winner! When it came to the following recipe(s) of 15 Plant Based Meals on a Budget from Healthy Helper I was tempted from beginning to end. This is a great list of recipes and what is even better is that they will not cost a fortune to make. So if you are looking for budget veggie meals, look no further! The final recipe I chose is a favourite bake of mine. Baking Queen 74's fruity Apricot and Apple Couronne is so full of fruit surely it must count towards one of your five a day! I love sweet breads and this one looks perfect for a mid morning snack! Thank you again to everyone who linked up. This weeks CookBlogShare is with Mandy at Sneaky Veg so don't forget to show off what you have been cooking up! I hope to see you all there. Thank you so much for featuring my soup! I love the look of the other recipes too!